Coal Miner Has it all. 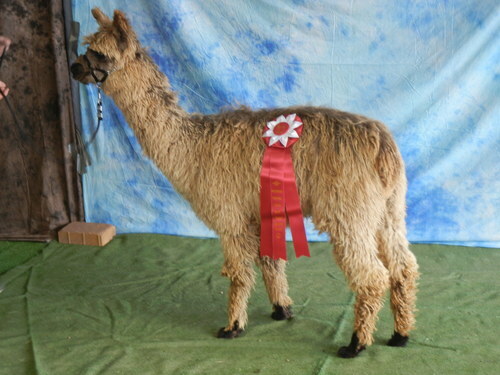 He will win many many more blue ribbons and color champions before he is done. Echo is a very sweet girl, friendly personality, and good size. 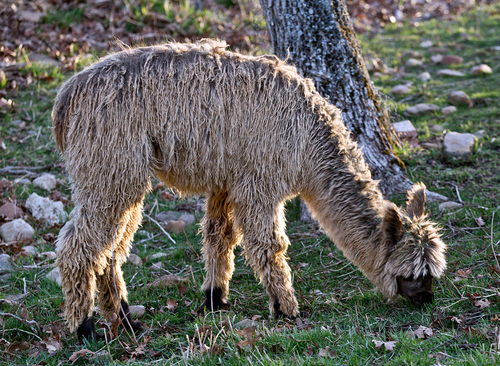 She has a very soft handle to the fleece, with good lock and luster characteristics. Echo carries the Accoyo PPeruvian Torbio gene, as she is his great granddaughter. 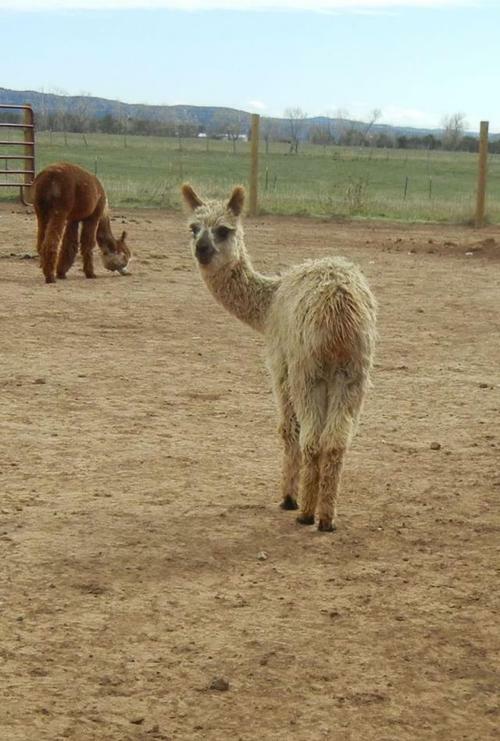 Echo's first cria from Reserve Suri Herdsire of the Year, Captain Morgan, was born 6-10-06. 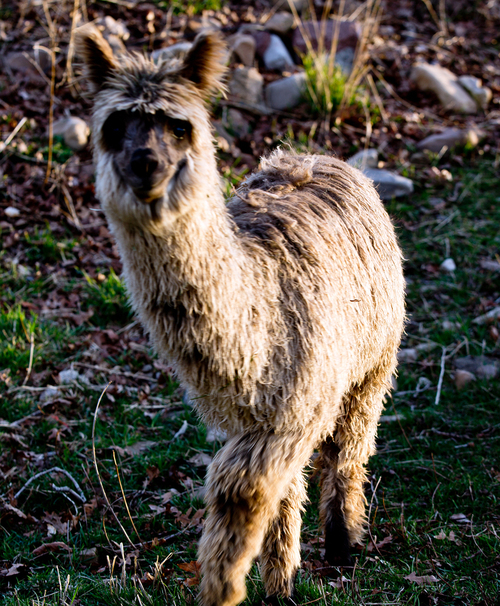 With color on the sire's side of her pedigree and the colored offspring Captain Morgan produces from white dams, Echo and Captain produced a reserve champion true black cria, Captain's Black Lace in 2006. The second year she produce color again with Captain Morgan's Nutmeg. Check out her beautiful Dark Fawn color. 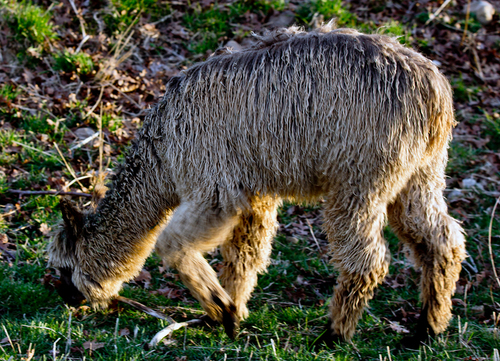 Then in 2008 Echo adopted and nursed a cria for her mom, Carmella. Rocky Mountain was really pleased with his new mamma. She really wanted to be a mom that year. Born on a mid-afternoon, rainy summer day, Echo's Summer Rayne entered this world a light fawn color. As the days have progressed, her color has changed dramatically! She has a unique color. I cannot match it to the ARI Color Chart. 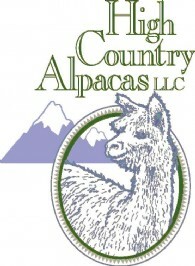 We can't wait for the Southwest Regional Alpaca Show, 2/15-2/16, 2014. The judge can help us decide what her true colors are. She may be a Rose Grey. Echo is a white and Coalminer is True Black. The results are in ... The compliance check classified her as Modern Medium Rose Grey. Judge Amanda called her Taupe. By all means this is unique and curious as the color continues to turn. She got a lot of attention at SWRAS.